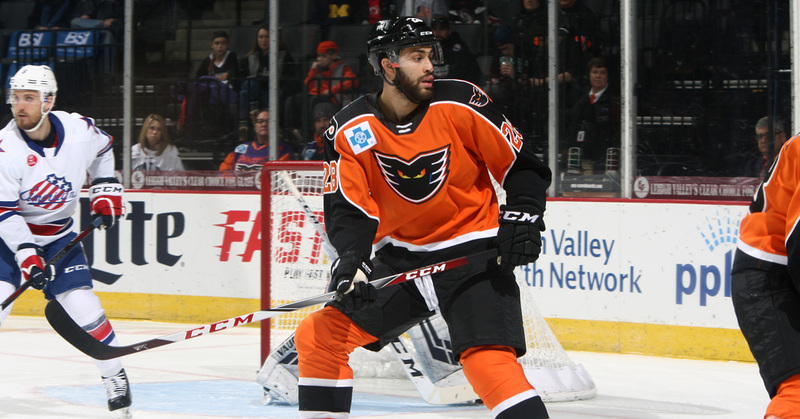 Lehigh Valley, Pa. – The Philadelphia Flyers announced today they have recalled forward Justin Bailey from their American Hockey League affiliate, the Lehigh Valley Phantoms. Bailey, 23, has played in 10 games for the Phantoms this season, tallying five goals and two assists for seven points since being traded for Taylor Leier on January 17, 2019. Overall, Bailey has played 47 games in the American Hockey League this season for Lehigh Valley and the Rochester Americans totaling 27 points on 14 goals and 13 assists. A native of Buffalo, Bailey has split time between Rochester and the Buffalo Sabres in each of the last three seasons. He played in 12 games for the Sabres last year, recording three goals and an assist for four points. In 52 career NHL games, all with Buffalo, Bailey has five goals and three assists for eight points. Prior to turning pro, Bailey played three years in the Ontario Hockey League with Kitchener and Sault Ste. Marie, where he totaled 75 goals and 73 assists for 148 points in 168 career games. He was selected by the Sabres in the second round (52nd overall) of the 2013 NHL Entry Draft.